I apologize for not posting this yesterday. I completely forgot about First Friday yesterday! This is the first time this has happened!! we renew our Act of Consecration to You. as King of our hearts. we need to realize this Kingship in our every day lives. always faithful to the consecration we are renewing at this moment. 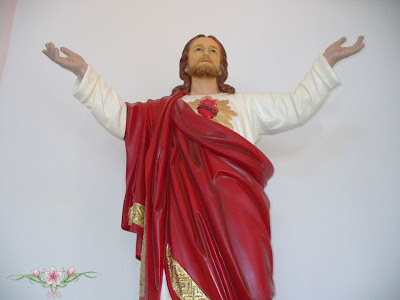 Sacred Heart of Jesus, we love You. so that You may reign in our hearts. 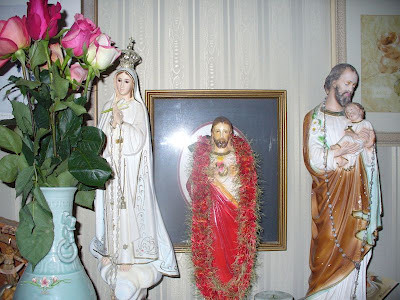 Mother of the Eucharistic Heart of Jesus. against the Eucharistic Heart of Jesus. 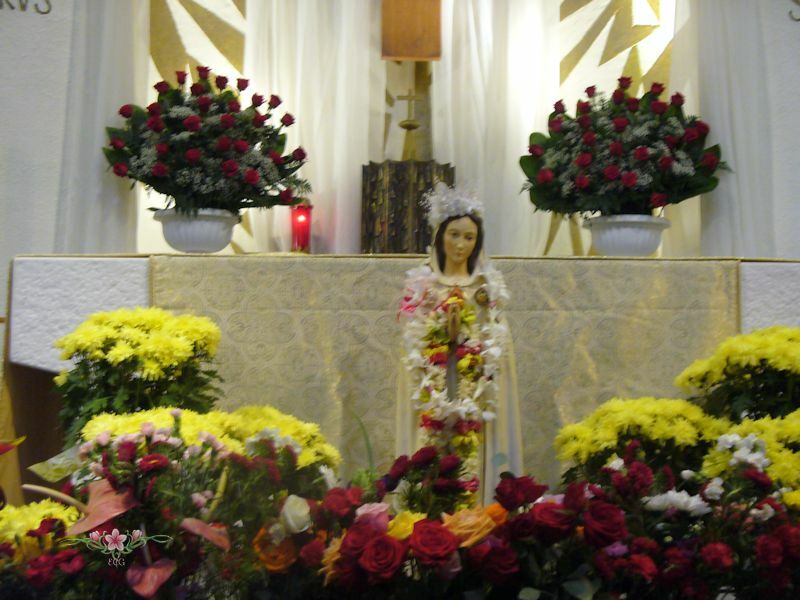 You are invited and encouraged to be a part of the multinational ONE MILLION ROSARIES FOR UNBORN BABIES prayer event(May 4th - 6th, 2012). Last year, people from more than 30 nations registered for the ONE MILLION ROSARIES FOR UNBORN BABIES, though the goal of one million Rosaries was not met. 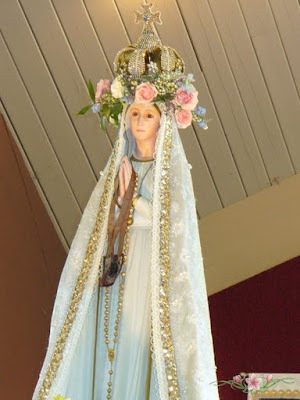 "...The humility and love of the Immaculate Virgin penetrated my soul. 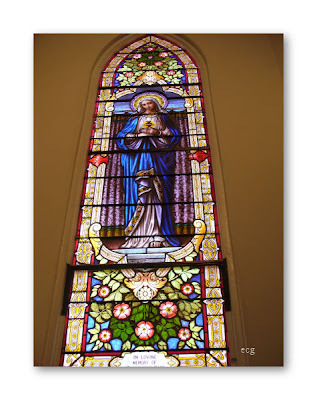 The more I imitate the Mother of God, the more deeply I get to know God..."
(843) Diary of St. Faustina. for your own honor, and for the good of all people. Amen. 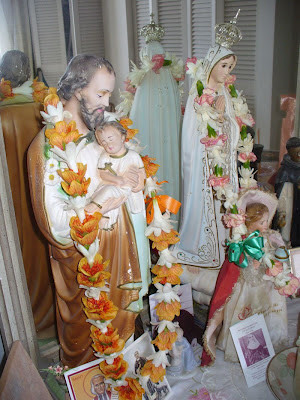 "...the love that St. Joseph had for his wife, the Blessed Virgin. The fact that it was a virginal marriage does not mean that it was a cold arrangement. Passion is not necessary to love, nor are bodies. 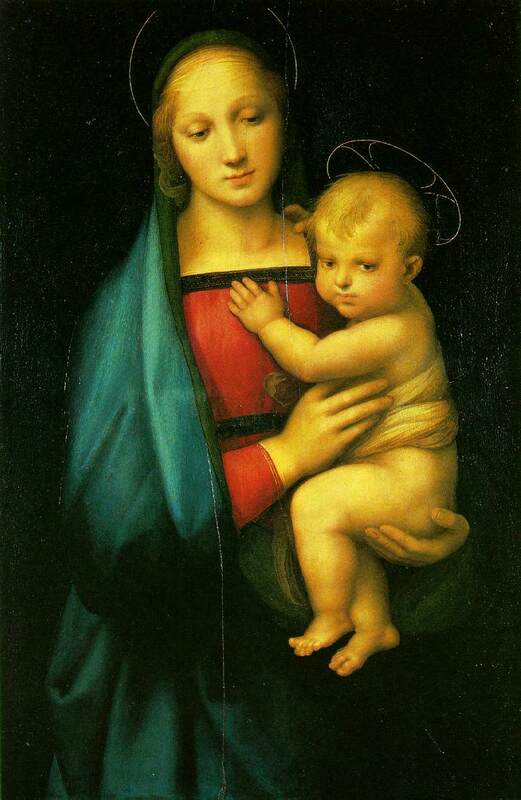 The romance of Mary and Joseph drew its strength from their holiness, their relationship to Christ." "...What is crucially important here is the sanctification of daily life, a sanctification which each person must acquire according to his or her own state, and one which can be promoted according to a model accessible to all people: 'Saint Joseph is the model of those humble ones that Christianity raises up to great destinies; ...he is the proof that in order to be a good and genuine follower of Christ, there is no need of great things - it is enough to have the common, simple, and human virtues, but they need to be true and authentic." - Blessed John Paul II. Father Syd reminded us today begins the month dedicated to our Lady. It is May...Mary without the "r". The "r" reminding us to pray the Rosary.